Master of Ceremonies Camilla Deterre welcomed guests and presented the Surface Travel Awards. On Tuesday, Aug. 14, Surface celebrated the finalists and winners of the second annual Surface Travel Awards with an cocktail reception at Soho Grand’s Club Room, led by Surface travel editor, Nate Storey. Model, photographer, and interior designer Camilla Deterre served as Master of Ceremonies. “Tonight we celebrate Surface’s annual tribute to the best in travel and design, which showcases the people and projects shaping the world around us,” Deterre said, before recognizing the winners in attendance. DJ Zuri Marley, granddaughter of Bob Marley, entertained guests with a mix of reggae and hip-hop. In attendance were Gabriela Hearst; Steve Wilson; Ben Pundole of Edition Hotels; Daniel Vasini, creative director at West 8; Andres Gobba; and Matias Carballal of MAPA Arquitectos, among others. The list of this year’s winners was expansive in scope, from a new cultural institution in Marrakesh that pays homage to the legacy of Yves Saint Laurent to a serene resort situated on a private swath of Iceland’s famed Blue Lagoon. 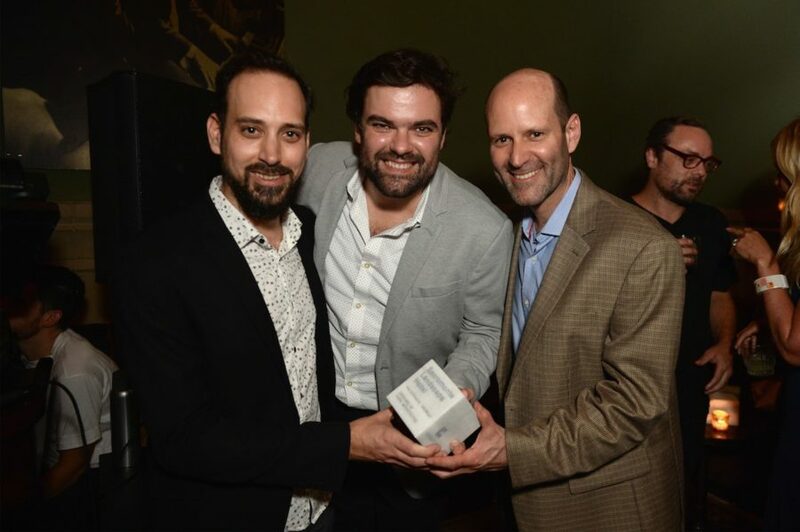 A few of the additional winners included Bibo Ergo Sum in Los Angeles, in the Bar category; Uruguay’s Sacromonte Landscape Hotel, designed by MAPA Architects, won Best Resort. The cutting-edge watch company, Rado, won the award for timepiece disruptor. A limited-edition line with photographer Gray Malin won Away the Luggage Disruptor award, and, as one of the most important openings in New York this year, Ian Schrager’s buzzing Public New York topped the Large Hotel Domestic category. The winners were chosen by an esteemed panel of judges including Anda Andrei, Gabriela Hearst, Daniel Humm, José Parlá, Paula Scher, and Steve Wilson; to see the full list of winners, read more here. Special thanks to Soho Grand for hosting the event and to Cosentino for custom trophies.